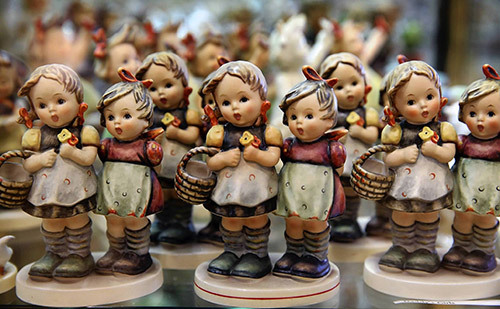 Hummel collectibles with their charming and innocent depiction of rosy cheeked children has inspired the world’s most beloved collectibles. Many of us have came across these collectibles in our lives and have fond memories of them. They have adorned many fireplace mantles at Grandma’s house or in mom’s special cabinet and so on. From the first Hummel figurine Puppy Love to some of the more well known Hummel figurines like Goose Girl, Umbrella Boy and Girl, Apple tree Boy and Girl and Stormy Weather these cute children collectibles have made an impression in our lives. This page has many resources for Hummel collectibles and is a good recourse for anyone collecting Hummels. You can bookmark this page so you can come back to it easily and continue reading.